It’s the beginning, and the moment has been prepared for. 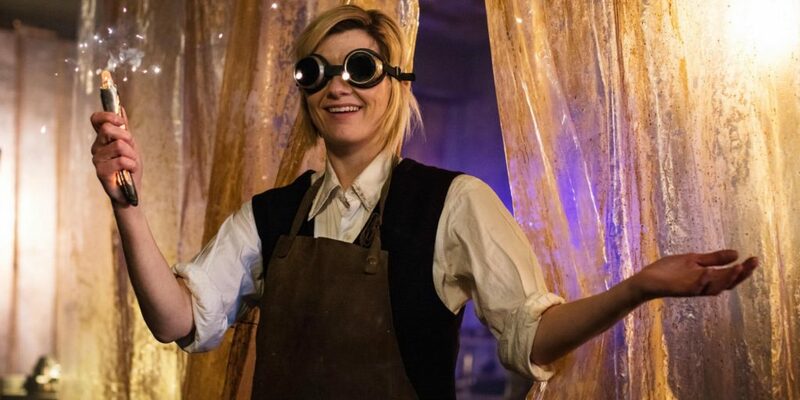 We’ve seen so much of Jodie Whittaker over the past six months especially, not just in trailers but promoting the show at conventions and on the talk show circuit, that to see her finally appear onscreen as the Doctor, just under nine and a half minutes into the series 11 premiere, though it’s caused what could be the biggest stir about the show since the Daleks, seems like the most natural thing in the world. Of course, it’s not just the publicity, but the actor. Let’s not be coy: Whittaker is marvelous. With sky-high hopes riding on her casting, from (one assumes) the production offices at the BBC to the tiniest blogs on Tumblr, she had to be, but she makes it look effortless. From Attack the Block we knew she could do sci-fi; from Broadchurch we knew she could do drama; but I for one hadn’t seen her in a comic role prior to this, and we all know by now Doctor Who demands all three. She’s very much in the Tennant/Smith mold, with perhaps a pinch of Eccleston and not very much Capaldi at all: cheerful, optimistic, friendly, curious, resourceful, improvisatory, kind. She’s ready to give a villain a chance to do the right thing, but willing to let him spring his own trap on himself if he doesn’t back down. She’s got the Tenth Doctor’s social graces, even his tendency to apologize for things that aren’t her fault, and the Eleventh’s zest for lashing together a makeshift solution when the situation calls for it. She has the unusual dress sense the Doctor has sometimes displayed, and the moral authority he’s always had. Despite all these threads that quite rightly mark her as being recognizably the same person, there’s something new: a lightness of spirit, a sense of unburdened joy at the universe I’d argue we haven’t really seen since 1979. Which is a good thing, since so much of the episode itself is set in gloomy night: darkened trains, dim warehouses, barely lit building sites. There’s a bit of a Torchwood look and feel about this one, in case we’d forgotten the new showrunner’s resumé. If I have one complaint about this story, it’s that the atmosphere is much closer to that of “Deep Breath” than “The Eleventh Hour,” “The Christmas Invasion,” or even “Rose.” So many previous Doctor debut stories have been visually upbeat and bright, such that the new beginning feels celebratory rather than jarring: think of “Castrovalva,” “Robot,” “Spearhead from Space,” or, if you must, “The Twin Dilemma” and “Time and the Rani.” But with an entire season ahead of us, it’s hard to worry about the vibe of a single story. And as stories go, it’s solid, a literally down-to-Earth counterpoint to the increasingly baroque and convoluted Moffat era. We meet and quickly warm to four very ordinary people: police trainee Yaz, her former classmate Ryan, his grandmother Grace, her husband Graham. We don’t get to know much about Yaz and Ryan this time out — only that she’s looking for bigger challenges, and he’s a sweet boy who misses his mom and dad. In a bygone era, Ryan might have been slated as the “action hero” member of the TARDIS team, the one to handle the “tough stuff” opposite the first female Doctor, as Ian was to the frail First Doctor, Jamie was to the diminutive Second, and Harry Sullivan nearly was to the Fourth. But it’s 2018, he has his own challenges in the form of dyspraxia, and so odds are even that the hand-to-hand combat will end up being Yaz’s job. As for Graham, he’s carrying on the fine tradition of Wilf and Rory’s dad, a quintessentially avuncular fella with many of the funny lines and a bemused sense that all this is crazy and far too dangerous but someone has to pass on all the accumulated wisdom of a life as a bus driver. And Grace — well, let’s just say it’s a shame there couldn’t have been four companions on the TARDIS. “Is it wrong to be enjoying this?” she asks in the midst of terrible danger toward the climax of the episode. She would have fit right in. 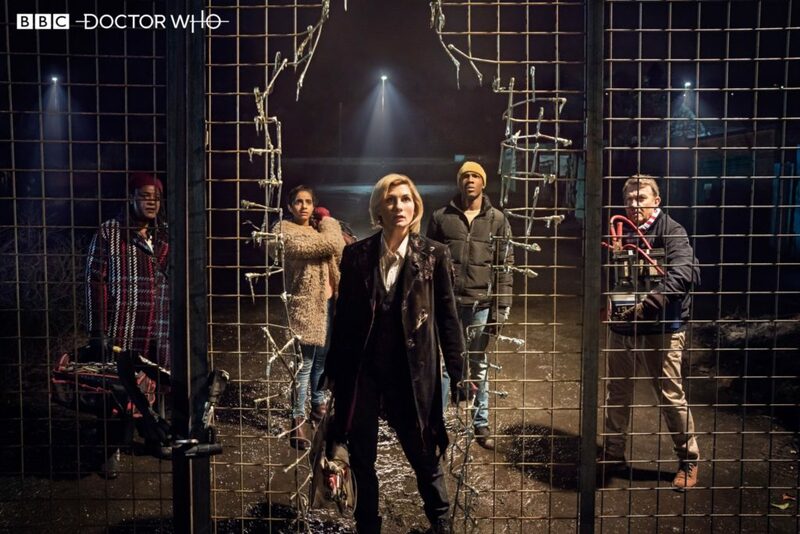 It probably won’t be lost on certain segments of fandom that the first villain this new female Doctor encounters is an alien hunter so macho he embeds his victims’ teeth in his face who thinks nothing of cheating his way into political power, and that the climax has her rescuing a nebbishy young white male who got his job through nepotism and is given to self-affirmation exercises like telling himself “I am special. I am important. Somebody out there wants me.” These probably aren’t coincidences, but it’s one of those things where if you feel attacked, maybe you should, and maybe that’s healthy. As the Doctor tells “Tim Shaw”: “We’re all capable of the most incredible change. We can evolve while still staying true to who we are.” She’s talking about herself, but might as well also be talking about the people for whom the Doctor regenerating into a woman was a step too far. Also: did you notice? Not everybody lived. This is proper Doctor Who.